to elementary, middle or high school – or even a college freshman – parents should check their child’s vaccination records. Child care facilities, preschool programs, schools and colleges are prone to outbreaks of infectious diseases. Children in these settings can easily spread illnesses to one another due to poor hand washing, not covering their coughs, and other factors such as interacting in crowded environments. 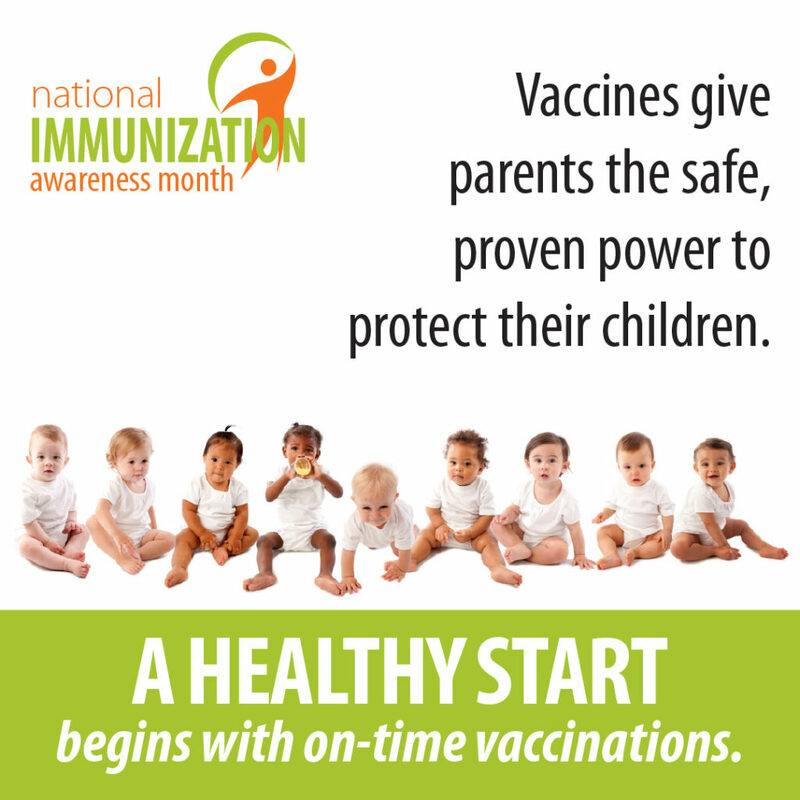 When children are not vaccinated, they are at increased risk for disease and can spread disease to others in their play groups, child care centers, classrooms and communities – including babies who are too young to be fully vaccinated and people with weakened immune systems due to cancer and other health conditions. Please visit https://www.nphic.org/niam for more information.